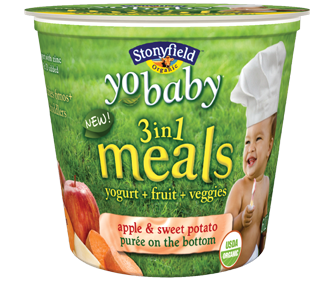 YoBaby Meals Gives You a Chance to Win! Want to give this great new product a try? Check out our giveaway! I think my baby girl would like Apple and Sweet Potato the most. She's VERY particular about bottles and nursing so I imagine she'd be the same with solids! I think my daughter would most enjoy apple and sweet potato. Definately the Apple and Sweet Potato. Thanks for the chance. I think my little guy would like the peach and squash flavor. my little one loves the peach and squash. My baby would love the Apple & Sweet Potato. I think she would enjoy peach and squash. My little one would like the apple and sweet potato because she already likes both separately!